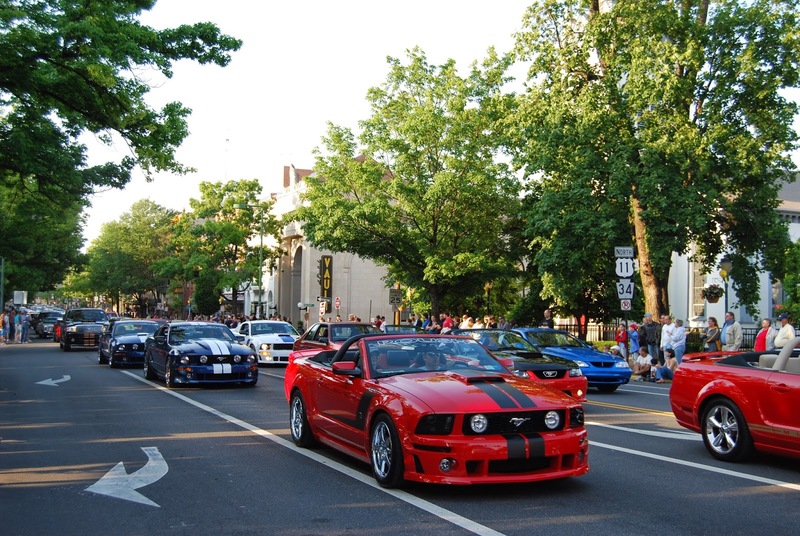 My dad and I went to the Ford Parade in downtown Carlisle on Saturday evening. I don’t really like cars but I enjoyed it more than I expected. We enjoyed the perfect weather as we watched close to 300 Fords line up on Hanover and High Streets. It was fun to see all the different makes and models and to hear the owners talk about their cars. After looking at cars for about an hour, we decided to take a break with dinner at the Hamilton. We ordered our usual – hotchee dogs, salad with house dressing, and gravy fries. Yummy! Then, we listened to the band that was set up across the street from the Hamilton play some bluegrass, country and classic rock. I can’t remember their name, but they sounded great and the crowd enjoyed listening to them. We ended the evening with some delicious purchases at Georgie Lou’s, including one of my favorites – malted milk balls – and some of their handmade fudge.